please come and join us on Monday, 24 March @18:00 at the next event of the IEEE Student Branch Klagenfurt! 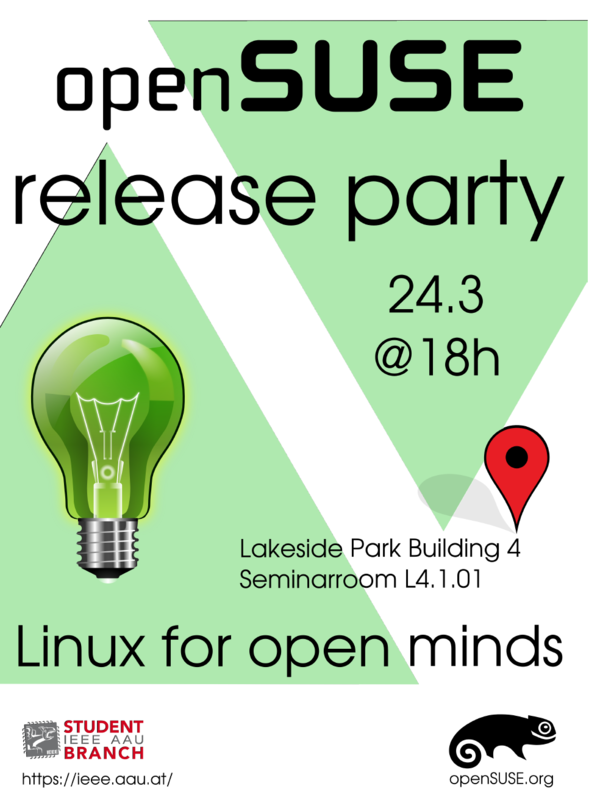 If you are interested in Linux and want to have fun, the openSUSE Release Party is the best place for you. 😉 Free installation discs will also be available as well as some drinks and snacks.